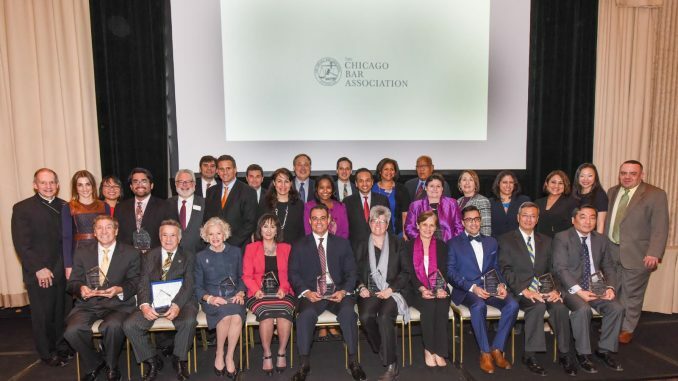 The CBA Vanguard Awards honor lawyers, judges and institutions from local bar associations that have made the law and the legal profession more accessible to and reflective of the community we serve. Former SABA Chicago President Sufyan Sohel was the awardee for the SABA Chicago. Sohel is the Deputy Director & Counsel at the Chicago office of the Council on American Islamic Relations (CAIR-Chicago), a civil rights non profit combating hate and providing pro-bono legal services to marginalized communities. Sohel served on the SABA Chicago board for four years, culminating with his tenure as President where he led the organization's transition from IABA-Chicago to SABA Chicago. He is a frequent presenter on civil rights and diversity issues and currently serves as an elected Community Representative on his Local School Council in his South Loop neighborhood.